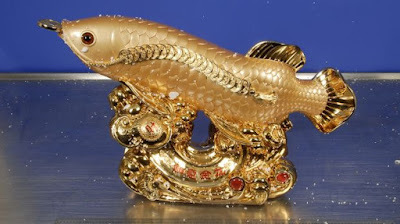 Federal prosecutors say ice with an estimated street value of about $10 million, which a Nigerian-born man imported to Canberra in ornate golden fish statues, could have had "calamitous consequences" if sold in the community. 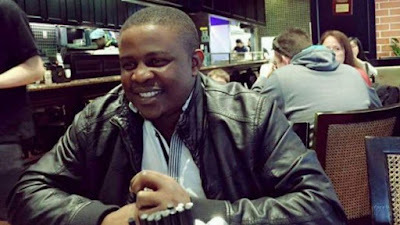 Lawyers for Jackson Igwebuike, 34, agreed he acted as "more than just a mere courier" when he accepted delivery of about 8.47 grams of pure ice before he attempted to board a Murrays bus to Sydney with the drugs in his bag. Federal police had swapped the drugs with an "inert substance" before the fish statue was put back together and repacked. Phone taps of Igwebuike's phones picked up communication between the accused and another man in Igbo - a language commonly spoken in south-east Nigeria - and with a freight company based in Sydney. Prosecutors said Igwebuike used the name "Solomon David" and asked the company for the package to be delivered to an address in Kaleen. Igwebuike said he hadn't known the statues had been filled with drugs. He said he'd been approached by two men in a carpark and asked to pick up some decorative glass items. Those men later showed up at his house after he had collected the parcels and broke the statues open, before threatening to kill his wife and destroy him if he didn't take the drugs to Sydney, he said. Commonwealth prosecutor Edward Chen told a sentence hearing on Tuesday that Igwebuike had maintained he had been doing a favour for a friend and wouldn't admit he committed the crime for profit. "The offender does not seem to demonstrate any willingness to accept responsibility for his actions," he said. Mr Sabharwal said Igwebuike had worked in the kitchen at the territory's jail and used his income to make phone calls to his large family, including his wife, in Nigeria. Igwebuike, who didn't "quite gel" with other inmates and was often alone, had been in custody since his arrest and could be deported when he was released, the court heard. He will be sentenced on October 25.